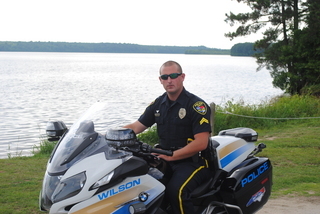 Officer Kenneth Robinson has been working with the City of Wilson Police Department for six years. For the past three years, Officer Kenneth Robinson has been assigned to the Traffic Unit. Officer Kenneth Robinson received certification by attending Basic Motor School through the N.C. Highway Patrol.